The simple truth about business is that you are in it to GROW. Grow your audience, your market share, your customers, and your revenue. The challenge with that as we enter 2019 is that growth is hard. Hard to achieve, even harder to measure and near on impossible to predict.It doesn’t matter whether you are in a start-up or run a division within a large organisation, growth and the complexities that surround it are probably your highest priority. No, this blog is about how you enable growth and scale through implementing the right tech and simplifying your marketing, sales and customer service ops through unification. You’re probably thinking, ok that sounds great but how? Well, the answer is pretty simple. What is the HubSpot Growth Suite? You’ve most likely heard of HubSpot, if you haven’t then welcome to 2018.To sum it up for you, HubSpot is one of the world's leading growth platforms focused on marketing, sales and customer service all connected via a central CRM. The CRM is pivotal to HubSpot's effectiveness as it creates one complete picture of each customers journey, tracking and recording every interaction a user has with your website, social media, sales and customer service teams. Giving you the most complete picture of how you attract, engage and ultimately delight your customers. The Growth Suite was introduced at HubSpot's annual Inbound Conference in September 2018. The aim with this is to give teams more control, greater flexibility and deeper integrations in one unified HubSpot account. It includes the CRM, marketing, sales, customer service hubs and comes bundled together with a 25% discount! The Growth Suite is available in their Free, Starter, Professional and Enterprise licenses which we will dive into in a second but you can take a look at the full features list on HubSpot's pricing page. Now that you know what the new Growth Suite is about, let’s take a closer look at the pros and cons of each license option. Earlier in 2018 HubSpot introduced a free version of all their products for start-ups and small businesses looking to get the ball rolling on implementing the CRM with a few added benefit from either the marketing or sales hubs. With the Free Growth Suite, you get a taste of what can be achieved in HubSpot with their fantastic CRM but the marketing, sales and customer services products are severely limited. What did you expect...it’s FREE! In my experience, it serves more as a tool to show you what you’re missing out on but if you’re just starting out the CRM will create a lot of value. The additional features like Facebook and Instagram lead ads, lead qualification and meeting booking bots, and the live chat add another layer to the CRM that most start-ups and small businesses will find useful. I like the fact that HubSpot included bots and live chat, as it really embodies the flywheel "engage" phase. Looking to create those authentic, engaging conversations with your prospects and customers. We love their CRM. It includes contact management, contact and company insights, tasks, document tracking (limited to 5 docs), Gmail and Outlook integrations and reporting to name just a few. Facebook and Instagram lead ads are very useful and pull directly into the CRM. Contact activity is very useful to help you understand how your contacts interact with your website. Lead qualification and meeting bookings bots are great for some of those more routine exchanges and can help sales focus on the more high-value interactions. The functionality across the marketing, sales and customer services hubs are severely limited. It does not include email marketing, even basic autoresponse functionality, whereas Mailchimp and other products do. Includes HubSpot branding which is to be expected but not ideal. The free CRM is really what you’ll come for. The additional features from the marketing, sales and customer services hubs are helpful but also severely limiting. We’ve worked with a few start-ups and small business who just need the CRM to help manage their contacts and it is very effective but if you need some basic email functionality or don’t like the idea of the bots and meeting links having the HubSpot branding on then this is not for you. The Starter is a much more practical option for small developing teams. While the Free license is not much more than the CRM, which is already a great tool, the Starter adds an additional layer of functionality that is very useful. Most notably you get the much-needed email functionality on the marketing hub side and then the sales and customer service hubs are beefed up significantly with email sequences, conversation routing and 1000 email templates and meeting links allowed. You get some basic email functionality. Up to 1000 email templates and meeting links help make sales much more efficient. Email sequences are a great way to put your prospecting on autopilot and stop you from dropping any leads. The prospects feature lets you know which companies are visiting your site at any given moment and helps you hone in and focus on the hottest opportunities. Great for a small team with individuals covering multiple roles. At this price point, the landscape is rather competitive and there are other products that offer more functionality. Email functionality is very basic and doesn't include any automated response. Could be a deal breaker for some. You will still need a host of other products for landing pages, email automation, blogging, social media monitoring and posting, and more. The Starter Growth Suite is a useful little offering and gives you more functionality specifically around the sales and customer service products. You also have a plethora of other Saas options to deal with emails, sales and customer service that offer you a more comprehensive list of features and it will cost you roughly the same. I would recommend this for a small team who wants take improve their sales and customer service process but is already using additional products like MailChimp (email), Later (social publishing), Instapage (landing pages and forms) and WordPress (website and blog). This is where HubSpot really starts to shine above the rest! I love all the products on the Professional licenses as stand-alone offerings but things do get taken up a notch when you pull everything together making a marketing, sales and customer service powerhouse. The Professional Growth Suite allows you to effectively bring everything under one roof especially from a marketing standpoint. It allows you to cover your entire marketing funnel/flywheel in one place from social media monitoring and publishing, blogging, campaign management, building landing pages, SEO and content strategy tools, advanced email marketing and automation, goal-based lead nurturing, the newly added video hosting and management and so much more. The 1:1 video creation deserves a special mention here. And in the sales process video is extremely powerful when helping salespeople build relationships and repport with prospects. The video creation feature allows you to quickly create and send a video by recording their screens and voice or a video of themselves answering a question the prospect had. We are a HubSpot Partner and I obviously prefer HubSpot over many other solutions. But the reason we become a HubSpot Partner was because we loved their marketing hub so much. It has transformed our agency and has helped our clients and many other businesses achieve great things. Ok, without getting too carried away with my love for HubSpot. Streamline and simplify operations and increase reporting accuracy. You are able to understand your customers journey through their entire lifecycle which has exponential value. And, you are able to scale without the need to chop and change platforms as your needs become more sophisticated. You get a full suite of features that are suitable for a majority of businesses and teams. You can simplify your reporting and effectively report on marketing and sales ROI. There is more cohesion between teams as the marketing, sales and customer service use a central CRM. Adds more value further down the customer journey as customer services teams have access to the customers' entire history of interactions with sales and marketing. The jump from Starter to Professional is not insignificant. Implementation can be tricky especially for larger companies with very robust internal systems. With its extensive capability teams need to learn how to use HubSpot feature or risk wasting the investment made. Pricing includes a 1000 contact so if you have a large database it can become costly. HubSpot's Professional Growth Suite is suitable for almost every industry and business at each lifecycle stage. Whether you are a Saas start-up, restaurant, manufacturer, division within a large enterprise or mom and pops store, HubSpot can help you grow. It scales well and is robust enough to handle almost anything you can throw at it...within reason. At this level, teams can become more efficient, you’ll get more user journey insights, are able to increase engagement, implement dynamic automation and ultimately grow. As expected, the Enterprise Growth Suite is the Tesla of growth platforms! It’s the best HubSpot has to offer. The pricing is understandably aimed squarely at more established medium to large organisations with deeper pockets and some high flying tech companies. Enterprise is meant for sophisticated marketing teams who need more flexibility, better integrations and who want to turn their marketing, sales and customer service up to eleven without complicating the process. At this level of offering, there are only a few platforms that can give you anything close to HubSpot individual market, sales or customer services hubs and none that can give you all three. Here are just a few things we like in the Enterprise offering. In the marketing hub, you get more advanced reporting including revenue and company reports. Predictive lead scoring helps you determine the likelihood to close a new customer based on the contacts properties and behaviour. The sales hub gives you “Playbooks” which is a collection of all your best-performing sales content from call scripts to positioning guides, demos, proposals and any other content they might need right where they manage their deals. You also get call transcription and tracking, recurring revenue reporting, quote approvals and an e-signatures feature to name a few. The Growth Suite as created with Enterprise clients in mind. Reporting and operations can become quite complicated at this level and the Growth Suite helps simplify that and helps adds a level of customer intelligence that is usually missed in all the confusion of multiple platforms, incompatible systems and separate team ops. All the pros of the Professional Growth Suite license and more. Full suite of features suitable to sophisticated team needs. Offers a robust suite of tools to improve operational efficiencies. There are few platforms out there that can compete with HubSpot's Enterprise Suite. Implementation at this level requires significant HubSpot expertise. Start at $3400 per month and billed annual, the start up fee is hefty. An established team can be resistant to learning about and adopting a new platform. The Enterprise Growth Suite is made for scale and is powerful and intelligent enough to take those that are willing, to walk the HubSpot journey, to new heights. It is expensive, but anything at this level generally is, and it’ll take a dedicated team effort to make it work effectively. Then you won’t find many alternatives to HubSpot Enterprise Growth Suite. HubSpot Growth Suite is a 4-in-1 package offering. There is a free version...which is basically their CRM plus a few additional bits. If you have no budget and don’t have a CRM yet, this is for you. The Starter licenses is an entry-level offering for small teams or the proverbial one man/women show. It doesn’t come with any email automation which not ideal but can be easily overcome by connecting MailChimp or the like via a quick Zapier integration. The Professional comes with a lot of the essential bells and whistles they marketing, sales and customer service teams need. At this level, you won’t find yourself wanting for much and HubSpot scales very well as your team and needs grow. Finally, the Enterprise Growth Suite is a beast. It’ll push you to a whole other stratosphere of possibility while simplifying operations and providing clarity in reporting. This is perfect for medium and large businesses, divisions and high growth businesses looking to add rocket fuel to the fire. Again, I am not unbiased here! So just take this post with a pinch of salt. Ultimately, you need to consider your goals, challenges, internal operations and budget before simply diving into HubSpot or any other solution for that matter. There are many ways to solve your specific challenges and HubSpot's Growth Suite is just one of them. Are you interested in HubSpot? Or wondering is HubSpot is right for you? 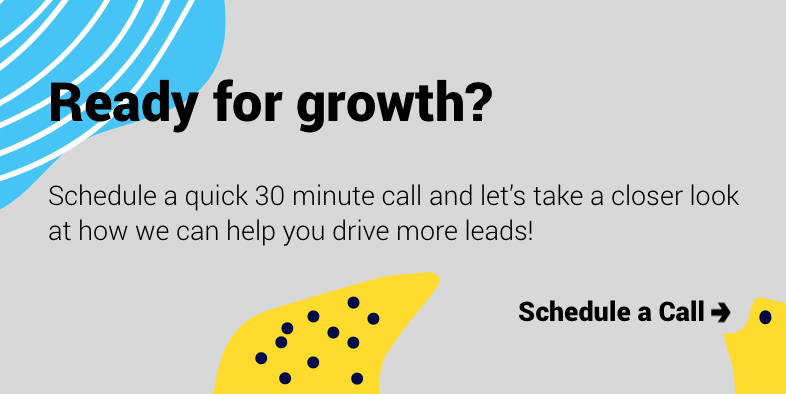 Let’s schedule a quick 15-minute free marketing assessment and take a closer look at you can grow better with HubSpot.